Do you know the first wine that really switched me on to Portuguese wines? It was back in the February 1999, when my wife bought a surprise bottle home from Bentalls in Kingston, which at the time had one of the best Portuguese ranges. 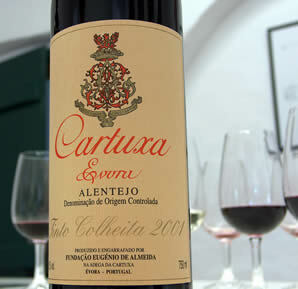 It was the 1995 Cartuxa, and with its complex, silky, slightly funky fruit it had me hooked. This was when I decided to go track Portuguese wines closely. So it was with great anticipation that we embarked on the last visit of this Alentejo trip to Adega de Cartuxa, and it was a big shame that we got such an indifferent reception. We had to wait for ages – it seemed that no one was able to receive us and that our appointment had fallen somewhere between the cracks. And then we got a pretty rapid fire tour and tasting. But at least the wines showed well. The Adega was founded in 1896, and refurbished in the 1950s by Eugenio de Almeida. He’s the dude who the Foundation, Fundaçio de Eugenio de Almeida, is named after. As far as I could work out this is a Catholic convent that is involved in various agricultural projects. Altogether there’s an impressive 300 hectares of vineyards. 1.7 million bottles are produced each year, with 26% of them being exported. 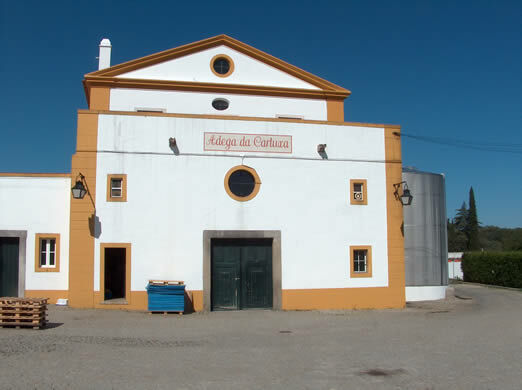 The current winery has been used as a winery since 1798 (which pre-dates Cartuxa, therefore), and was originally a Jesuit rest house. 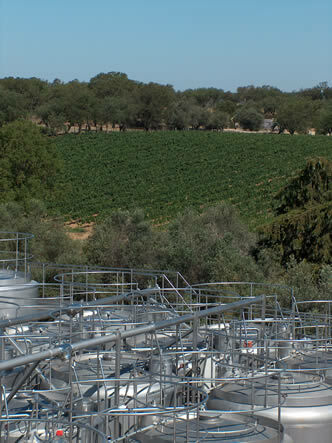 Availability in UK: agent is Raymond Reynolds, and the wines are stocked by a range of independents.